She's a female comic villain, she’s wears a jester costume, and she's the sidekick to the villain Joker. And Groove Inc. is offering you the chance to reacquaint yourself with this clever villain. August 2016 Groove Inc. will release the Pullip Harley Quinn - Dress Ver. SDCC 2016. That's right, after their hiatus last year, Groove Inc. will once again be returning to San Diego Comic Con (SDCC) which will take place on July 21 – 24, 2016 in San Diego, California. 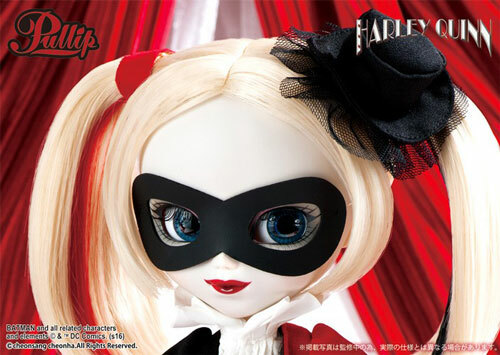 You may remember back in 2012, when Groove Inc. offered Pullip Harley Quinn at New York Comic Con. She was a smashing success. 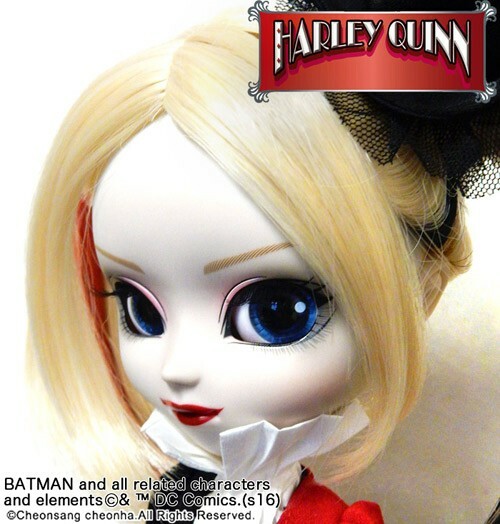 And looking back at her, 4 years later, she truly embodied Harley Quinn (you can still find the original Pullip Harley Quinn on eBay/>). Groove Inc. renewed Pullip Harley Quinn for 2016. They've kept the same color palette, made some changes to her hair & makeup and dressed her up in a tulle-like outfit. (it’s difficult to top the original, though). 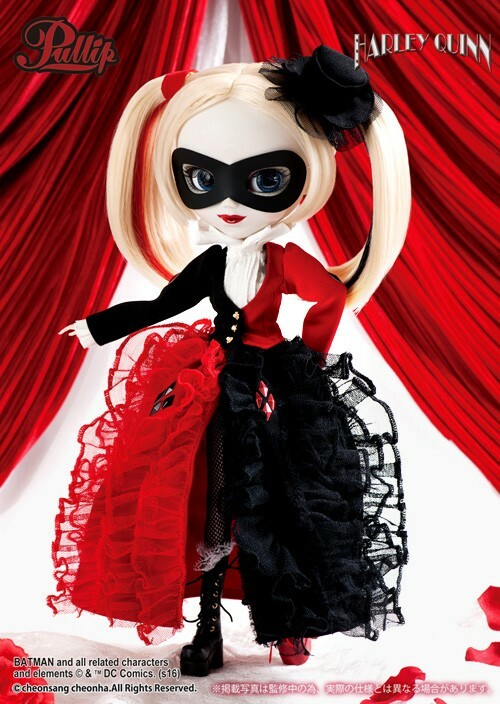 Is Pullip Harley Quinn - Dress Ver. SDCC 2016 worthy of the title San Diego Comic Con Exclusive? If you’re unhappy with the 2016 Harley Quinn, what doll did you want to see as a San Diego Comic Con Exclusive? Are you delighted to hear that Groove Inc is returning to SDCC? Share your thoughts and opinions in the comment box below. DC Comics' Suicide Squad movie is hitting theaters August 2016 (USA). Are you going to check it out (PG-13)? I wish Groove Inc would have pulled some elements of the dynamic DC Comics Suicide Squad Harley Quinn for their SDCC 2016 doll. Harley Quinn's pigtails/twintails are too cute. I can imagine them on a doll . . . so cute! With the movie coming out I think Groove Inc could have widen their audience (like they did with the 1st Pullip Harley Quinn) if they had parts of Suicide Squad Harley Quinn in their 2016 Pullip. I am a huge Harley Quinn fan and I have to sadly admit this doesn’t do much for me. I’m not actually 100% sure of the look they were going for with this outfit and it overall feels a little “fancy” for her rather than fun. For a SDCC exclusive, I would have chosen the Bombshell version of Harley Quinn. I also think Poison Ivy is overdue for a pullip form! I might be a little biased for the latter though since, with a Poison Ivy pullip, you could complete the Gotham City Siren trio and I’ve been hoping for her the past few years. 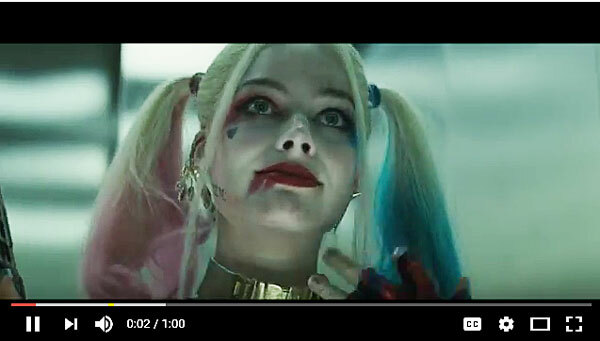 :] Suicide Squad Harley would have been a great choice, too, even if her outfit isn’t 100% my preferred aesthetic. They would have done it pretty well, I think! 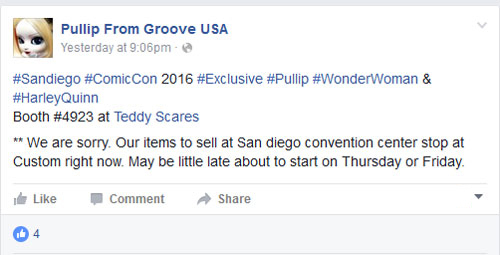 Overall, I’m just glad Groove is back at SDCC. This doll is also a great opportunity for fans who missed the original version, too. You brought up some great recommendations. The color scheme is there but the essence of Harley Quinn is watered down a bit. Oh a Bombshell version of Harley Quinn. I’m not too familiar with DC Comics so I had to Google that version. It’s certainly fun & dangerous. I like your recommendation of a Poison Ivy doll. Thanks to Harley Quinn, I learned a bit about Poison Ivy. I would certainly like to see her as a doll. But I’m going to place my vote for your final recommendation which is the Gotham City Siren trio. Now, that would be one awesome collection. Thanks for taking the time to share your thoughts on Pullip Harley Quinn and for sharing which characters you would like to see transformed into dolls.